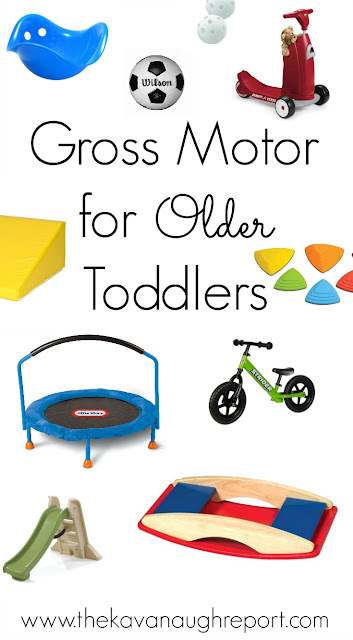 As most parents of toddlers know, toddlers of all age crave gross motor play! They are smack in the middle of the sensitive period for movement and they need to move their little bodies. It's frankly amazing how much energy these little tiny people have. I've been asked to follow up my previous post about Gross Motor Play for Young Toddlers with some ideas for older toddlers! As Nora quickly approaches 18-months, many of these ideas have been on my mind! I personally look for things that will last a long time and can be used indoors and out. I also look for things that work a variety of muscle groups and provide unique and different challenges. 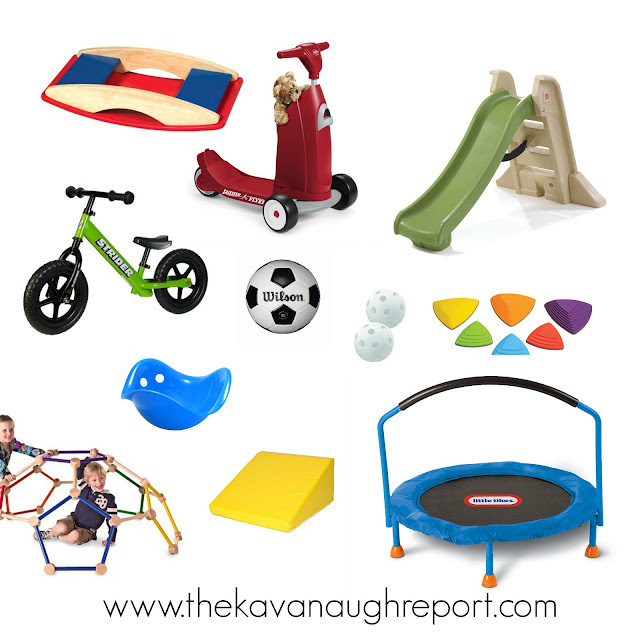 Any of these are fun for both indoor and outdoor play which is great as winter approaches. In fact, many of these things would still be (and are) wildly entertaining to Henry as a preschooler. I think the Strider Balance Bike and the Trampoline are the absolute favorites in our home! A balance board is at the top of my wish list. 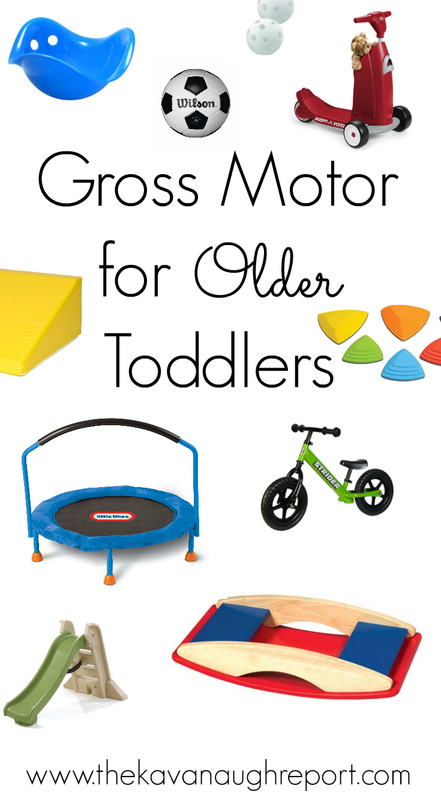 What does your older toddler enjoy for gross motor play? Is there anything you would add to the list? Before choosing any kind of baby toys we must know how much important and how much require of that toy. There are several varieties of toys are available in the market and we parents are always choose the best and attractive one of our toddlers. Here in this article we have found that how to choose motor toys for our older toddler; it looks beautiful and I am sure that our toddlers are sure enjoying these toys. What's another name for these rock steps? When I google "rock steps for toddlers" nothing like what's pictured comes up. Thanks! Never mind. I figured it out. Gonge Riverstones!